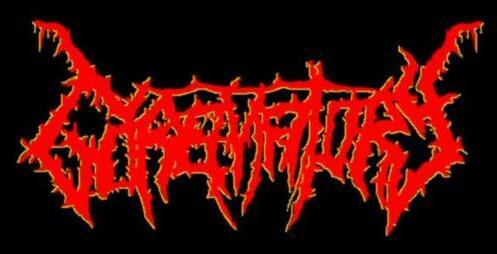 Gorematory was formed on March 1, 2008, in Edison, NJ, by Guitarist/Vocalist, Vince Lepore, and drummer, Jerry Bakman. The band recorded their first demo in April of 2008 titled, "Sadistic Psychos", at LCBW in Watchung, NJ. The band entered the studio a few months later and recorded a follow up demo in August 2008, titled "Devoured By The Dead". After this demo, the band decided to take a break for a few months, and returned in 2009, with the "Massacres Unleashed" demo in April. After the demo was recorded, they recruited a bassist from Colonia, NJ, named Joe in May 2009, and right after this, the band started playing shows throughout the area. In July 2009, Joe was fired from the band for lack of commitment. He was replaced by Eric Trimboli. The band continued to play shows throughout the summer, and returned to the studio in October 2009, with the self titled demo. The demo was recorded at Subterranean Studios in Edison NJ, and it was the first demo that revieced attention from radio stations. The band continued to play more shows to support the self titled demo, and returned to the studio again to record songs for the "Massacres Unleashed" compilation, in June 2010. It contains 2 rerecorded songs from the original "Massacres Unleashed", one new song, and a cover of Death's "Zombie Ritual". After the recording was completed, Eric Trimboli left Gorematory. He was replaced in July 2010 by Kevin Lopez. Gorematory entered the studio in December 2010, and are ready to release their first full length, "Zombie Slaughterfest" on Febuary 19 2011!